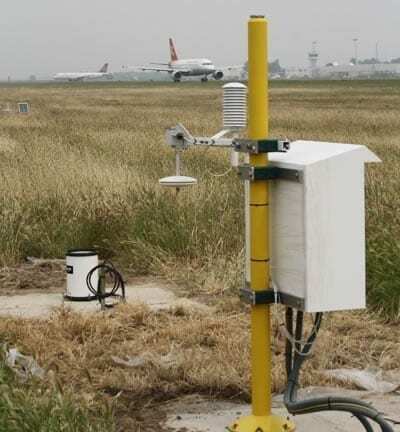 Automated Weather Observing Systems (AWOS) provide a complete set of the meteorological data required for airport operations. 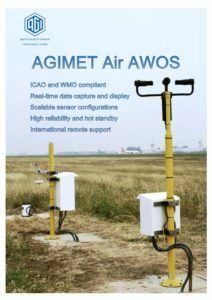 AGIMET Air AWOS combines a fully tailored suite of sensors with configurable real-time Met displays for ATC controllers, Met observers and forecasters and other airport personnel. The system is scalable in terms of the number of sensors and the level of hardware redundancy and is suitable for any airport from local uncategorised to full international CATIII. Long-term data is stored and protected and may be graphically analysed or exported. Manual or fully automatic reports may be generated to WMO standards and disseminated as required. AGIMET Air AWOS can also integrate to non-English language modules to ensure local national standards are met. Systems can be supplied fully installed with comprehensive engineering and operator training, and remote access and post-installation support are available worldwide.